This week we continued using the awesome Jesus story book Bible which I cannot recommend enough for use at home or in Kid's Church. You can buy it here. I was teaching this lesson to the 4-8 year old age group with the under 3's joining in as much as they wanted and were able to. When the kids arrive there are lots of different blocks laid out for them to build with, lego for the older ones, Duplo, wooden blocks and also some random cardboard boxes to make bigger structures (which are more fun for knocking down!). 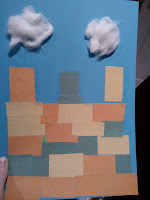 This is an introduction to the story, when I told the story I reminded the children about the big towers and walls they made, just like the big high walls of Jericho! After a little time playing with these we are going to make our first craft which will also serve as a prop / something to keep their hands busy during the story. The kids each decorated a sheet of orange card however they liked using crayons and stickers and then we helped them roll them up and tape them into the shape of a horn like this! Very simple but they make an effective sound when you blow into them! 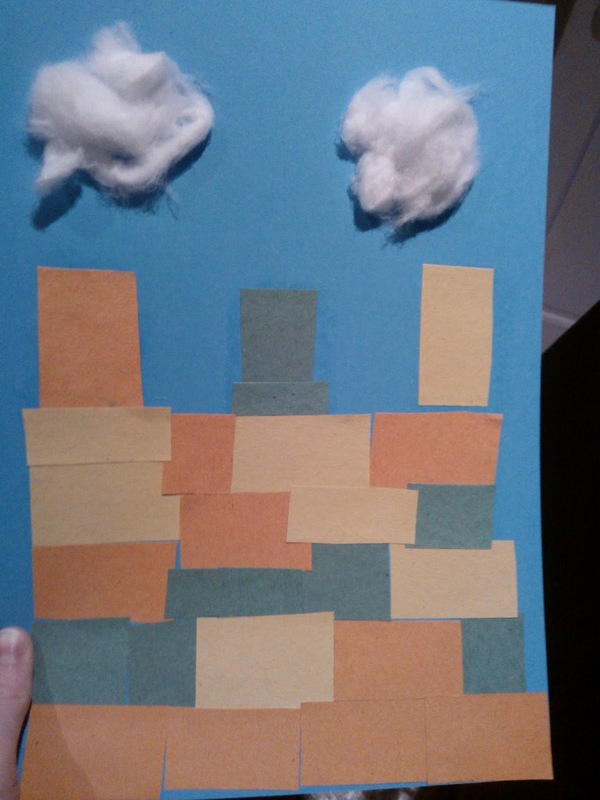 During the story I got the children to play their horns each time the people of Israel marched around the walls of Jericho. After the story we moved back to the art table and I gave each child a template like this which I made in about 2 seconds with a ruler and sharpie and photocopied. I laid out lots of colourful pre-cut shapes which I salvaged from scraps from previous art projects (never throw anything away if you can help it!). Then the children "built" the walls of Jericho by sticking on the shapes with a glue stick. As well as reminding the children about the story by talking about it as they got creative, this was also a good time to talk about shapes and colours. 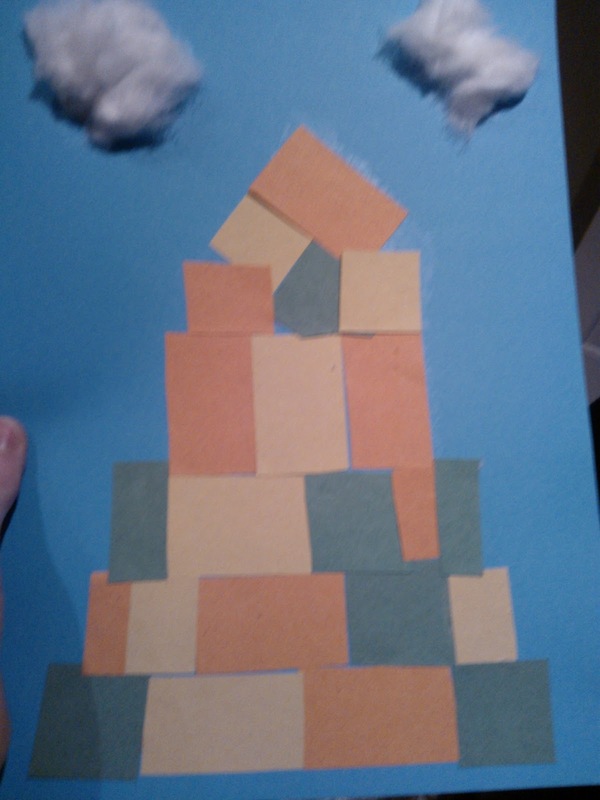 I used a similar craft idea about 6 months ago when we learned about the Tower of Babel. Some of the children's finished masterpieces! Just as when I needed. Thanks!